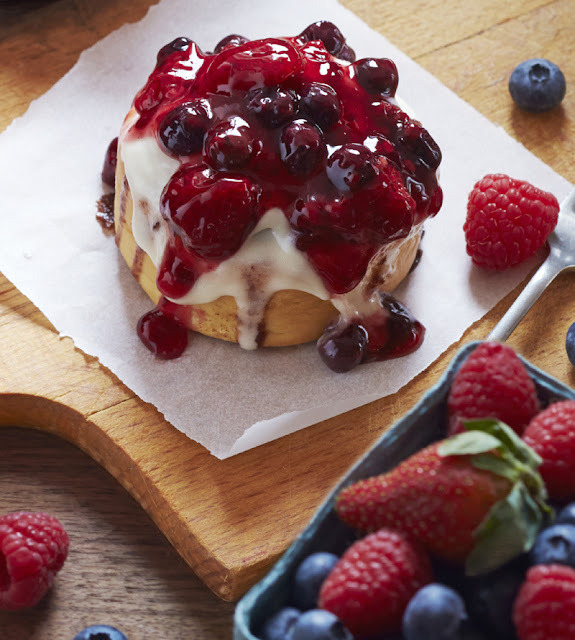 The Cinnabon Mixed Berry Minibon is a new fun twist to the traditional sweet Makara cinnamon filled with cream cheese frosting. Now, your Minibon is uniquely combined with lemon, tart berry flavor and plush purple fruit toppings. This Minibon is a burst of flavors with its dough smooth, tender and slightly chewy, a frosting that is grainy and melts evenly, and finally glazed with soft berry pieces for a tangy fruity pie experience. The delicious berry flavors paired with the exceptional quality of the ingredients used in each Cinnabon product makes for an unparalleled experience. Cinnabon Mixed Berry Minibon is available for a limited-time-only in all Cinnabon Philippines Stores Nationwide. Looks extra delicious! Glad I've seen this on your blog. Will try this soon! the bread alone is so sweet na, dun na lang ako sa toppings, lol!